When you select a shape tool, its properties and options appear in the Tool Properties view. Click on the button corresponding to the shape you want. 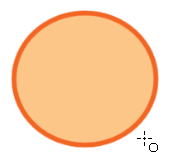 Click and drag your mouse to draw the selected shape. The shape tools create centre lines. 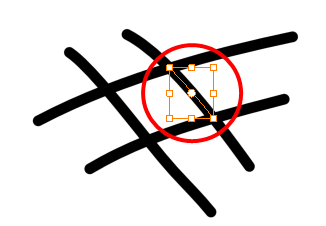 Using the Line tool, press [Shift] to create a line which snaps-to every 15 degrees and then press [Alt] to connect the start or end point of that line to another nearby line. Refer to the topic to learn more about the Grid feature. The Line Building mode is very useful when drawing long lines and curves in small increments with pencil lines. 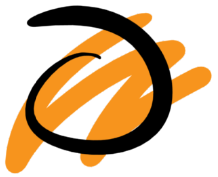 As the pencil lines are central vector lines and it may be difficult to align the line tips perfectly to create a uniform stroke and close all gaps. 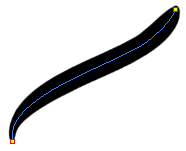 In this mode, you can draw lines in small increments and the tip are merge into one single stroke. This mode only works with pencil lines. Use the Automatic Filling option to automatically fill your shape with the selected colour as you draw. By default, the Shape tool creates the contour of an empty shape that you can later fill using the Paint tool. Refer to Selecting the Current Colour of a Tool to learn more about selecting a fill colour. 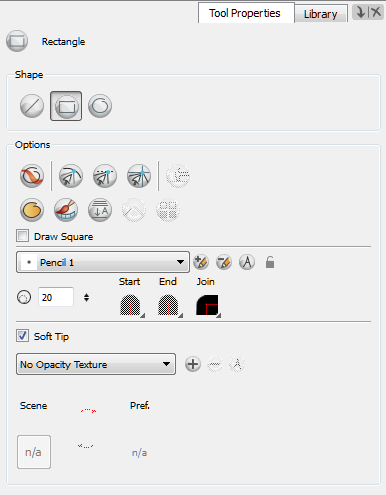 Using the Select tool, you can use the middle mouse button to select a segment of flattened pencil line. Use this technique to create a nice finish to lines and corners in your artwork. It is recommended to leave this option ENABLED when drawing with the Pencil tool. When the Ellipse or Rectangle mode is enabled in the Tool Properties view, the Draw Circle or Draw Square option appears. 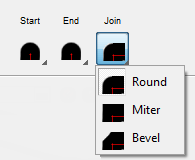 When selecting these options, the shape produced will either be a circle or a square. Holding down the [Shift] key as you create your shape will maintain proportion. Toon Boom Harmony provides a variety of pencil templates and also lets you create and save your own. It is a good idea to create and save pencils with precise sizes and parameters when you draw and design. Pencil lines support texture. Once a pencil line is drawn, you can apply a preset texture or load your own. Textures are independent from Pencil templates. Refer to Pencil Line Texture, Applying a Preset Texture to a Pencil Line and Creating a Pencil Texture Template with the Select Tool.